Shortly after the procedure, Christopher’s kidneys failed. Doctors and medical staff worked tirelessly to bring him back to the best health possible, while he still relied on dialysis to keep his kidneys functioning. 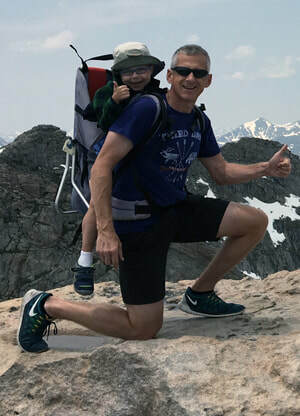 The doctors knew Christopher would eventually need a lifesaving kidney transplant, and they suggested living donation so he would receive a great match at his young age. Immediately, Christopher’s father, George, hoped he was a match. However, because Christopher was just an infant, the team had to wait until he grew so he could have an adult sized kidney. At 11 months old, Christopher went home for the very first time following his lengthy hospital stay. 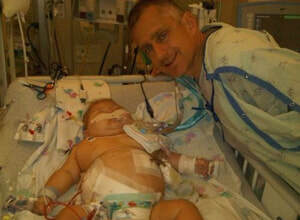 His parents would spend time every evening with a machine to do dialysis at home. 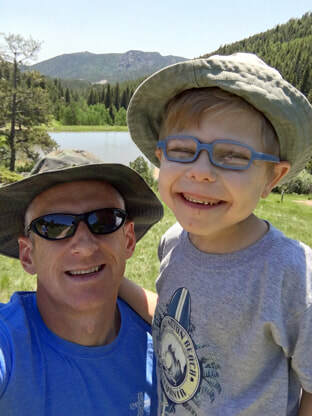 Once Christopher was almost two years old, the doctors suggested that he could receive an adult sized kidney from his father. George was anxious to donate his kidney to his son, knowing this would change the course of their lives forever. “I had a sense of thankfulness and peace after I donated my kidney,” said George. Today, Christopher is a thriving second grade student, and will turn eight at the end of this year. He has a sunny disposition and a fighter mentality that has served him well and helped him thrive. Christopher likes to read, play with hot wheels and recall information about cars. Since George has donated his kidney, he lives his life as if he has both. This family has been dramatically impacted by the need for organ donors. In 2017, 183 Oklahomans gave the gift of life by becoming an organ donor saving 481 lives. The need for transplant is growing, and there are still approximately 700 Oklahomans currently waiting on a lifesaving transplant.